Choosing a new floor is a big decision. It’s one of the items in home design you want to last both in terms of style and durability. Wood flooring is without doubt one of the most popular options in today’s modern interiors market, offering greater practicality than easily stained carpets and a higher quality of finish than many laminate, vinyl and tile options. Once you’ve decided on wood flooring the next decision is what type – solid or engineered. 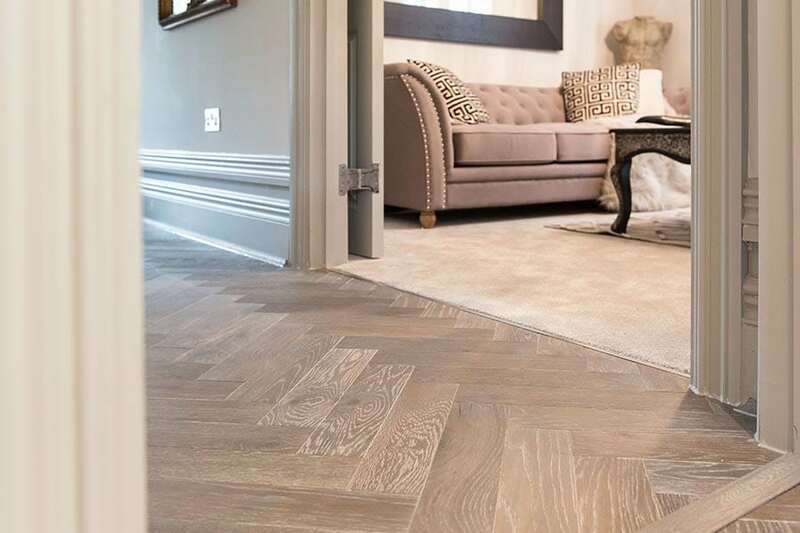 We’ve been specialising in the highest quality engineered wood floor products for years, and from sustainability to durability, not to mention good looks, here’s why you are actually making a solid choice when you choose a V4 engineered wood floor. It looks just like real wood. And that’s mainly due to the fact that it is! All of our wood floors have a real wood top surface, and that’s all you see once your floor is installed. The manufacturing process in all of our planks uses either real oak or walnut wood of various grades in their veneer surface, and dependent on style preference and budget this can be as thick as 6mm on many of our floors. The modern colouring and treatment techniques we apply to our engineered wood floors mean there is an endless array of choice to find something to match your interior style. Our collections range from traditional oak styles and uber cool greys, to white effects and deep rich tones. And whether you opt for an oak or walnut wood veneer, advanced oil and lacquer treatments applied to the surface produce durable natural, matt or gloss finished surfaces. Board sizes vary too – with fewer trees being used than solid wood a wide board becomes an affordable and more environmentally friendly option. If an environmentally friendly choice is important to you then our engineered wood floors win hands down over solid wood. 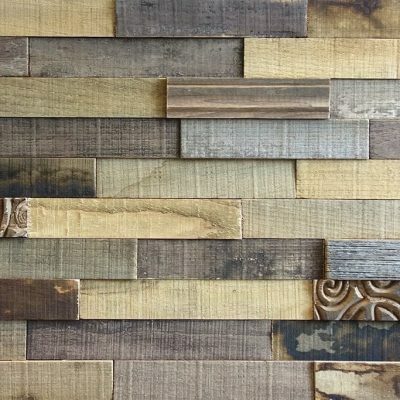 Firstly, the amount of wood used to produce each plank is reduced significantly when you consider it is only the top layer that is produced from forested trees. The impact of wood floor production on the environment is also of significant importance to us and all of our wood flooring is manufactured in FSC and PEFC certified factories where the wood is responsibly and ethically sourced from well managed forests. A major advantage of engineered wood due to its multi-layer construction is it won’t contract and expand to the same extent a solid wood floor does. This means wood floors can be confidently installed in rooms with a typically higher moisture level such as bathrooms, kitchens and anywhere temperatures fluctuate. With minimal expansion gaps deployed under skirting or trims in the installation, you won’t notice any small movements from your engineered floor – unlike some of the complications found with solid floors. Beneath the real wood top layer is a clever construction of multiple layers of hardwood, bonded to provide ultimate stability and durability. This process is completed to the highest standards in all of our floors meaning they can withstand high footfall and years of domestic and commercial use. 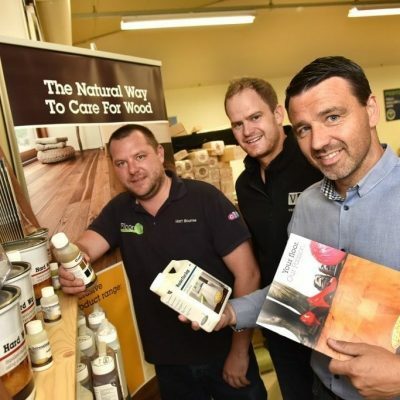 The application of advanced UV lacquer, natural oil or UV oil adds another layer of durability to our floors, supported by a 35year domestic guarantee. While we predict it will take some years of heavy wear and tear on a V4 wood floor before you might think they are looking worn, all of our wood floors have a top layer of veneer thick enough to enable floors to be re-sanded and re-treated with oil or lacquer – just like solid wood – for floors that look as good as the day they were installed. The thicker veneer you opt for, the more times this process can take place. The life-span of your floors just got a lot longer. All of our engineered floors use a tongue and groove system for easy installation, less wastage and greater flexibility when transitioning with other floor types. We recommend you consider board thickness if joining floors with other surfaces to find as close a possible match to reduce messy transitions – a flexibility you have with engineered construction. And with so many homes looking at the option of underfloor heating the good news is almost of our wood floors are ideal to install over modern underfloor heating systems, whereas there are a host of complications when solid floors are used over similar heating systems. Compared to most solid wood options, engineered wood floors are a more cost-effective option, for a product that looks just as good, if not better. Decided an engineered wood floor is for you? Then why not view the full V4 Collection and order some free samples.